It seems like cauliflower is becoming the substitute for everything these days…and I don’t hate it! I love making chopped cauliflower salads, cauliflower cheese (yep, you read that right! ), cauliflower mash, and so much more. 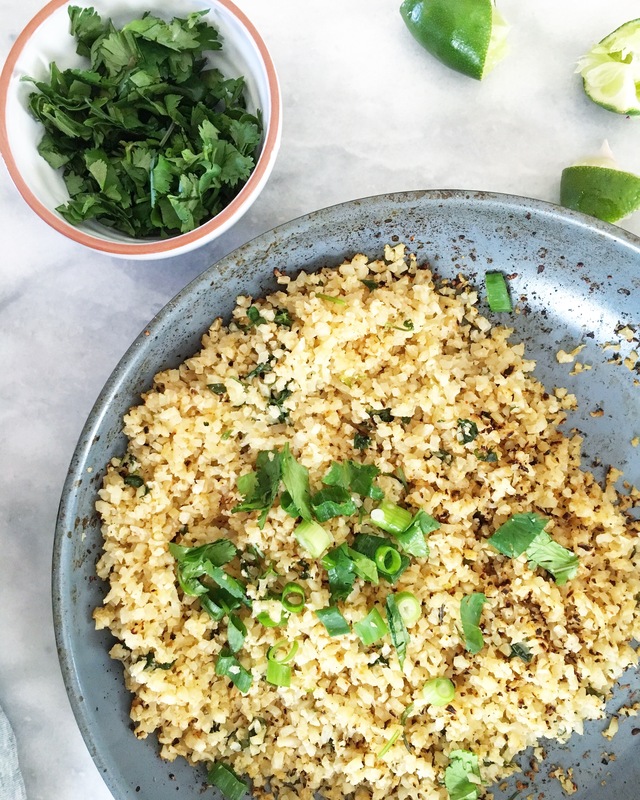 Topping that list is definitely this new recipe for Cauliflower Rice! It is awesome that people are discovering what a versatile and tasty ingredient cauliflower is for many reasons! For one, it is a simple way to add some vegetables into your diet in place of grains or other starchier vegetables. MOST importantly though, it is a cruciferous vegetable. Cruciferous vegetables are crucial elements to our diet and important for SO many reasons. Cancer fighting properties! Yes, true story, cruciferous vegetables have cancer protective and cancer fighting properties, so eat up! 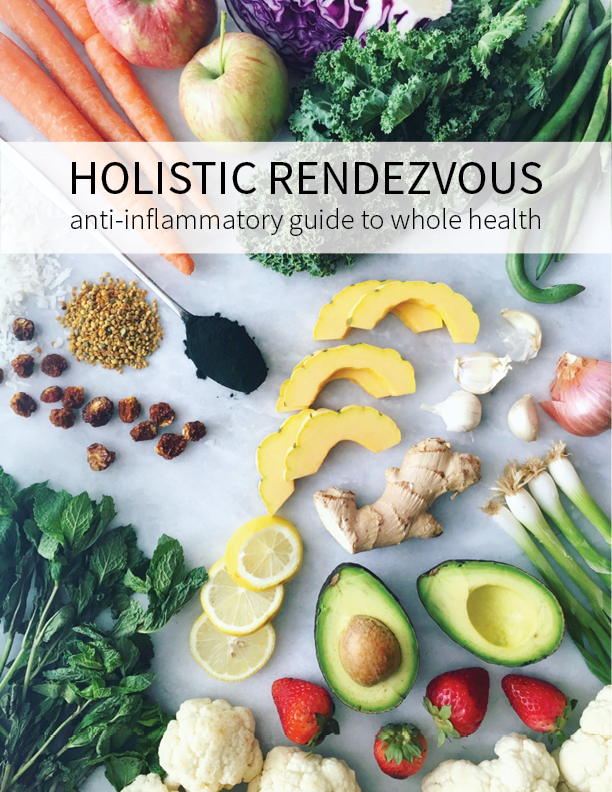 Anti-inflammatory! Guys, this is huge! Inflammation is the common factor in EVERY disease, not to mention your every day aches and pains. That’s why I am a huge proponent of following anti-inflammatory protocols(especially to give your body a reset), but implementing anti-inflammatory foods into every day is necessary. 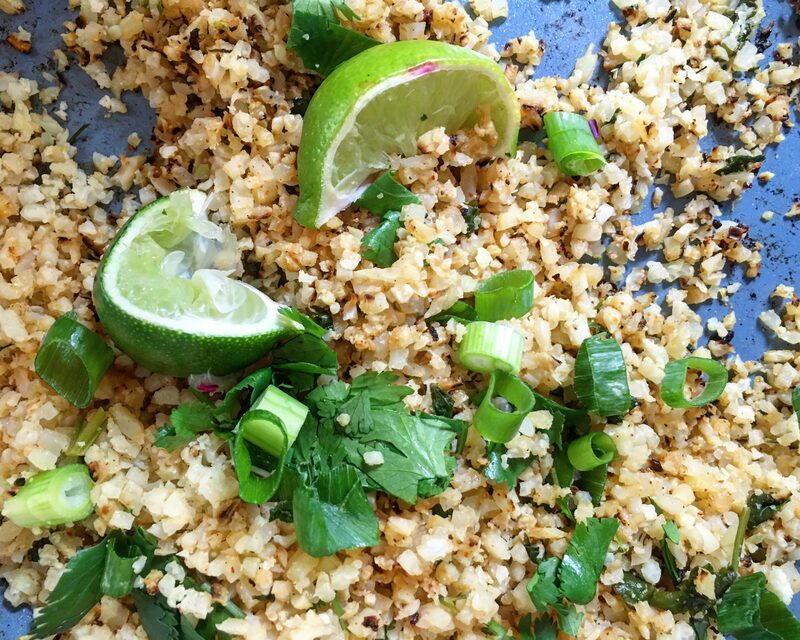 The way to every paleo lovers heart, cauliflower rice! If you didn't buy your cauliflower pre-riced, cut cauliflower off of its head and place in a food processor. Then, pulse until it is the texture of rice! Next, mince your garlic and sauté it in 1 tbsp of coconut oil for a minute or two. Then, add in your riced cauliflower, salt, lime, and chili powder if you so desire! Allow this to cook until softens, about 15 minutes. Mix in cilantro and top with green onions and more cilantro for presentation! How do you implement cruciferous vegetables into your diet? Are you a fan or nah? You can add even more nutrient density to this meal by topping it with my delicious AIP Pesto!